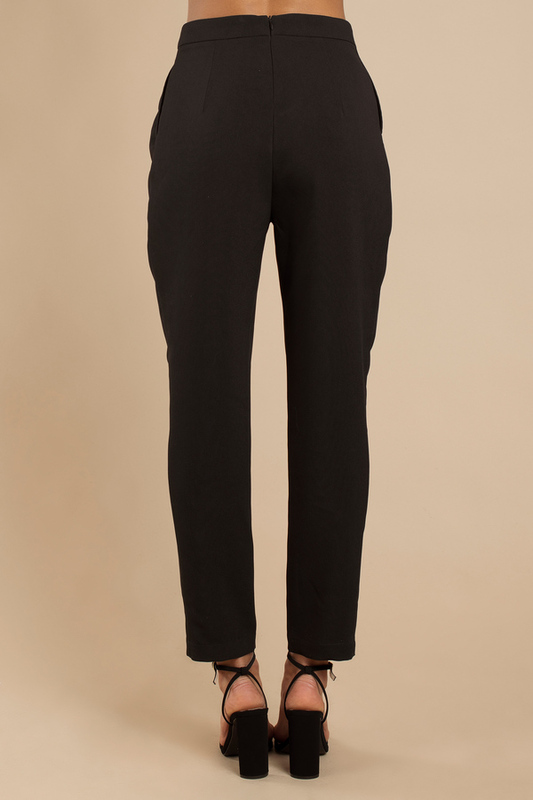 Check out Tobi's Kelly Pleated High Waist Pants High society babe in the Kelly Pleated High Waist Pants. Perfectly chic with its tailored body and details. Features side pockets and hidden zipper back closure. A formal look that's all in good taste to wear as work pants with a blouse tucked in or after work for drinks in a casual crop top. High society babe in the Kelly Pleated High Waist Pants. Perfectly chic with its tailored body and details. Features side pockets and hidden zipper back closure. A formal look that's all in good taste to wear as work pants with a blouse tucked in or after work for drinks in a casual crop top. Black, Khaki modeled on a size Small.